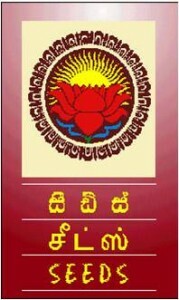 Sarvodaya Economic Enterprise Development Services (Guarantee) Limited was established in September 1986 by LJSSS as its economic empowerment program. It’s mission is to alleviate poverty by promoting economic empowerment for a sustainable livelihood and assisting communities in their economic activities, training in entrepreneurship, orientation to business activities, preparation of project reports, etc. SEEDS’ credit-plus approach combines credit with business development services and capacity building – a strategy widely acknowledged by development professionals as a means of reaching out to pockets of poverty. While its customer base is linked to the network of Sarvodaya Shramadana Societies; there is also collaboration with state and non-state agencies in community development projects by providing a wide array of non-financial services to their beneficiaries.